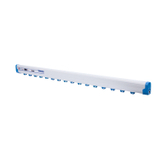 Anti static ionizing bar is a fixed special equipment to eliminate static electricity. The strong ion wind will remove the surface of the object of static electricity. 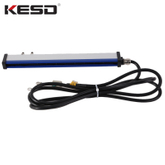 It needs a high-voltage generator, thus affecting the product electrostatic field induction and discharge. Static electricity will make the device or chip oxide film at both ends and the protruding parts structure metal get strong electric field due to the tip effect can be induced by a strong electric field, because the point of the ground potential is different. 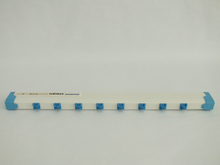 This is why the static ionizing air bar is suitable when the electric field strength exceeds the structural point of the dielectric strength limit because of the characteristics of simple installion,stable, strong wind speed and quick speed of static elimination.